I found out about kombucha in 2012 while I was on a surf trip, a friend of mine showed me some home brew of her own and explained to me a little bit about it. When I tried it for the first time, I thought it was funky. The taste of vinegar was kind of weird but it was love at first sip. I loved brewing kombucha so much that I was doing way more than I could drink. I started to share with surfers, yogis and the great community of Ocean Beach in San Diego. 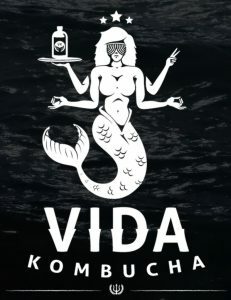 My friends started to ask me for more and I realized I had a unique brew so in 2015 I started Vida Kombucha. The classic line for 21+ from Synergy has really good stuff, the Trilogy is my favorite. 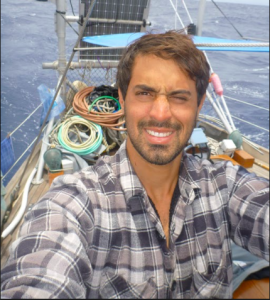 I’m a commercial diver, cleaning hulls around San Diego city.